The Texas Zeta Chapter is one of the original eight fraternities founded in 1955 at TCU. For years, Phi Delt has prided itself on being known as the gentlemen on campus while maintaining a strong commitment to academics, intramurals, and other social activities. 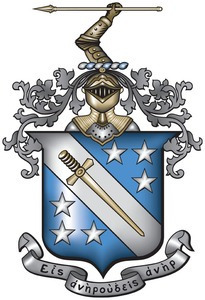 The men of Phi Delta Theta share a commitment--to the intense bond of friendship between brothers, high academic achievement, and living life with integrity. A Phi Delt has high expectations of, and for, himself and his brothers. He believes that one man is no man.